RIO DE JANEIRO, BRAZIL – The Santa Marta favela community in Zona Sul (South Zone), has begun to prepare for the expected arrival of tourists this August, when Rio de Janeiro will host the 2016 Olympics. A new tourist information post was opened in the community yesterday (May 10th) to help orientate visitors and reinforce Santa Marta as an important tourist point in the city. Located in Botafogo, behind the Rio’s Mayor’s workplace, the Palacio da Cidade (City Palace), Santa Marta already has an influx of tourists who come to view the colorful houses. The tourism post initiative was endorsed by local guides, and many residents of the community, in an effort to regularize the tourism sector, providing a point of security and orientation in order to boost the number of visitors. The tourism stand is located in Corumbá Square, at the foot of the hill and is signed by Valmir Azevedo, an architect who was born and raised in the community. The new tourist desk was constructed by the Tudo de Cor para Você project (All the Colors for You), who provided the paint in partnership with the Secretary of Tourism, and was built using ecological materials. 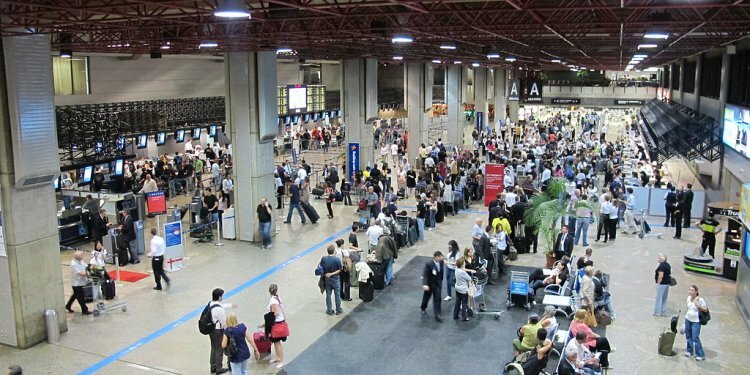 For Rio’s Secretary of Tourism, Nilo Sergio Felix, “the stand is proof of the professionalism of tourist guides’ service in the area.” It is estimated that 560, 000 tourists will go through the state capital during the competition period. Santa Marta (also known as Dona Marta) has always attracted tourists since it appeared as one of the locations for Michael Jackson’s hit record, “They Don’t Care About Us, ” as well as being the first community to receive the Pacifying Police Units (UPP) in the city. Search guided shore excursions in st petersburg for beauty tourism in our site!